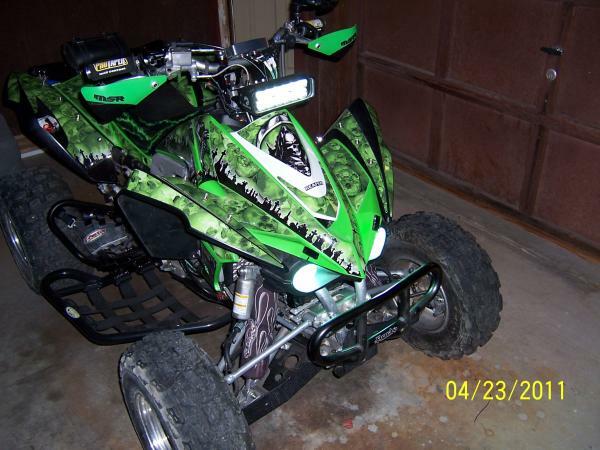 I have an 08 kfx 450 with fci, proton, slip on exhaust and aftermarket coil. I found kx450 wiseco stage 1 cams for sale for cheap. It says they’ll fit 06-14 bikes. Will these work on my quad? The KFX top end is modeled after the 06~08 KX450f top end...same head & cylinder spec's..
06~08 KX intake & exhaust cams will work no problem...same spec's...!!!! 09~preset...only the intake cam will work in the KFX...the exhaust cam CANNOT be used due to piston & valve contact causing sever motor damage to occur...!! Last edited by Dust Devil; 06-19-2018 at 10:31 AM.